FALL version of Frugal Real Food Meal Plans is a simple solution to feed your family real food on a budget. It doesn’t have to be hard to feed your family healthy food! This meal plan includes recipes, shopping lists, prep lists and budgeting tools so you can put healthy food on the table faster, with less work. *Note: Although these meal plans are not dated to align with the current calendar year, you will receive 13 weeks worth of healthy, frugal meals! Real food doesn’t have to be expensive. We can help. 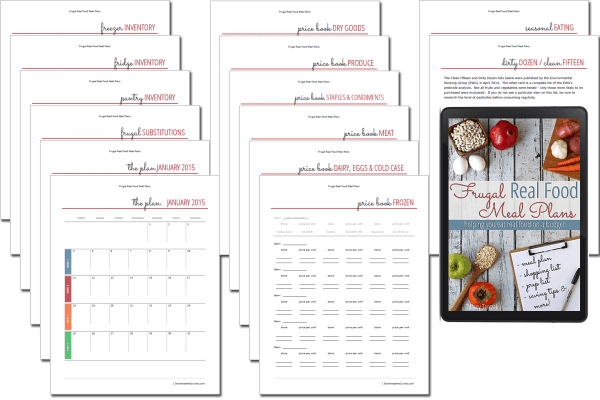 Frugal Real Food Meal Plans takes out the guessing game when it comes to feeding your family real food on a budget. 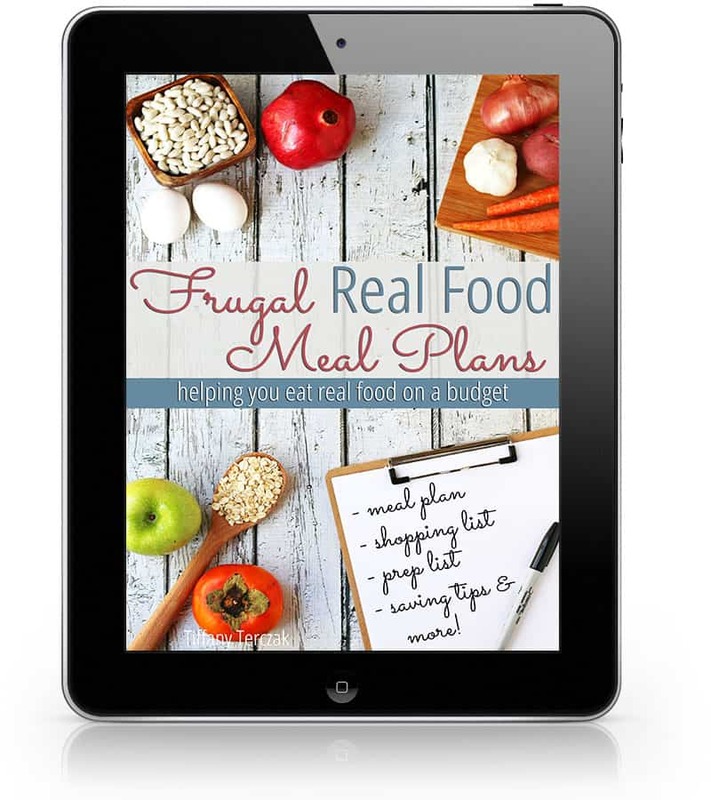 With everything you need to save you time and money, Frugal Real Food Meal Plans is a lifesaver. This complete meal plan will help you save money, cook delicious meals, and enjoy the freedom that comes with eating real food on a budget. 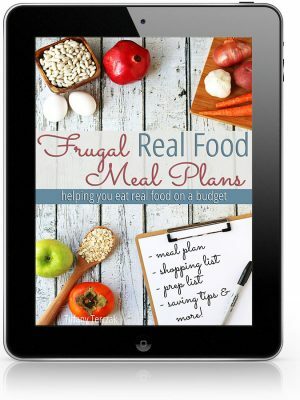 Frugal Real Food Meal Plan is designed for a family of four for $350. There are some variables to keep you within that budget such as family preferences, shopping habits, and local prices. While this plan is all real food, it is not diet specific. Many gluten-free or dairy-free families have used this plan and made substitutions to make it work. It is up to you to decide if you want to put in the additional work of making this plan fit within a special diet. The recipes included use commonly used items so you won’t end up with a stray jar of curry paste and never use it up. Many of the meals are intentionally linked so that you will use up any ingredients that aren’t always on your list.